"From my personal point of view, I think that I am so sinful that I cannot even approach Krishna to show me any favor. But I have only one hope -- my Spiritual Master -- He is very kind. So someway or other He is dragging me towards Krishna. That is the only hope. Sri Caitanya Caritamrta says therefore: Guru Krishna. 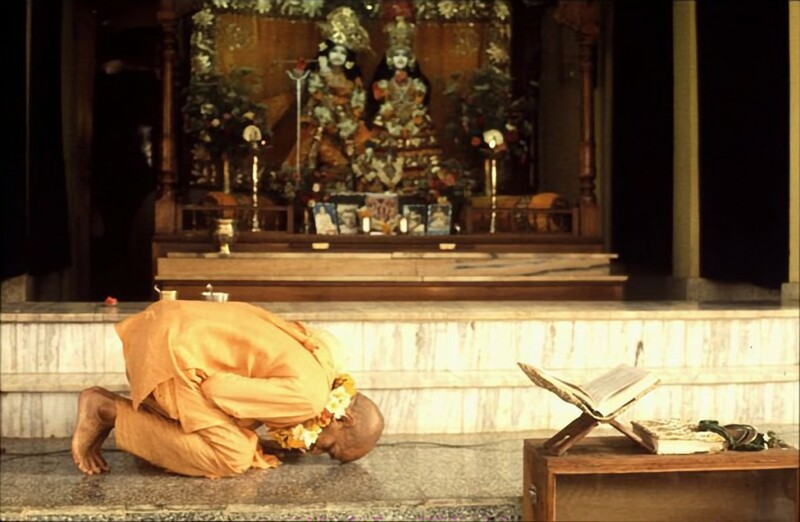 By the mercy of the Spiritual Master, and by the mercy of Krishna, one gets into Krishna Consciousness. Narada Muni is our original Spiritual Master and he has dragged so many fallen souls towards Krishna, and we are also hoping to be dragged by Him through the disciplic succession. Otherwise, if we study our own qualifications, there is none -- rather I have got so many disqualifications."